I won’t lie – I was never planning on staying at CMU. I came in 2013, fresh out of Mennonite Collegiate Institute and I just wanted to play volleyball for a year, maybe two, and then I was going to go to “real” school at U of M.
This reluctant narrative is sort of what defines my CMU experience. At first, I was told of the wonders of CMU. The community, the class size, the opportunity for spiritual growth – it was all going to be awesome! But I didn’t really listen, I didn’t really care. Then, all of a sudden I was doing all these things and they were good. Everyone says it’s good. I didn’t want to, I didn’t think it would be good, and then all of a sudden I was doing it and it was good. I was told that classes were small and this was good: I was pretty nonplussed by this. I didn’t really care. Then I realized that this was actually a very good thing (though also a little challenging). I could talk to profs, get advice and all that good stuff. But this didn’t mean things were easy. Yes, I could bounce my ideas off my profs, but they could also stare at my soul and know that I had absolutely not done the readings for that day’s lesson. Also, in a class of 20, Delmar wouldn’t have a hard time noticing me falling asleep in the History of Psychology… not ideal. I was told that practicum was helpful. Yikes, I really didn’t have a good attitude about this one. I did mine at Deer Lodge Centre which is a personal care home and hospital and I was doing work assisting occupational therapists and physiotherapists. This sort of work is what I want to do with the rest of my life and looking back now, I realize that this not only was great in terms of me affirming what the next chapter of my life looks like, it also looks pretty good on a resume or application. I was also told that integrative courses were awesome: I didn’t want to do them cause they all seemed like lots of work – now I know that these were likely the most unique, eye-opening, challenging, and rewarding classes that I took. In my Psychology and Christianity course for example, we discussed questions like “are we soul and mind” are we “soul mind and body” or “just body?” Topics like the intersection of psychotherapy and faith were discussed and I came to quickly realize that there is no such thing as differentiating faith and the rest of life. It’s all wrapped together and it’s all super confusing and it’s all difficult and it’s all completely full of truths, half-truths, and caveats to everything that you can think of. This is perhaps the biggest takeaway from being here for the past few years. There isn’t a way to break things apart – things can’t just be categorized. 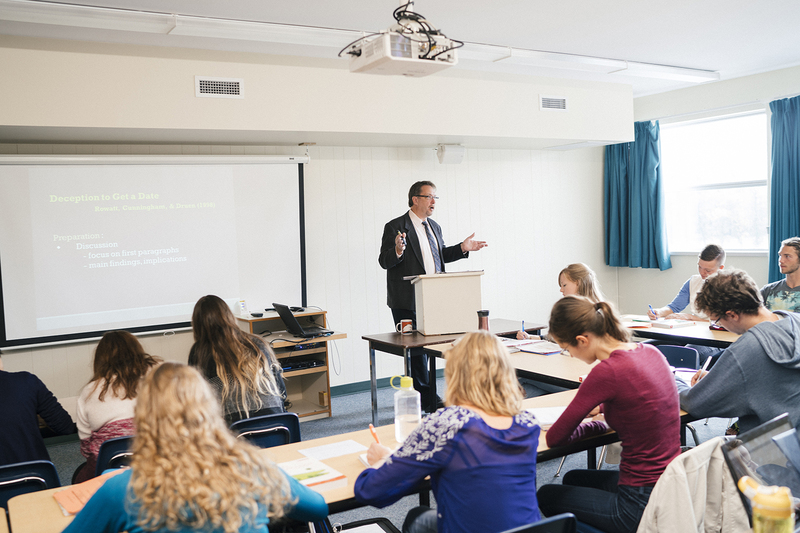 In psychology, the study of human behaviour and cognition and interaction is intricately connected to God, the creator. So, I was told many things, I didn’t really believe them. I eventually did those things anyways and now, looking back on all of that, I see that I’m a better person for it. So how has CMU prepared me for life past university? I would say that it’s guided me and shaped me to think holistically – to think about God and people and relationships and research and everything in between, as connected – as influenced by and influencing each other. 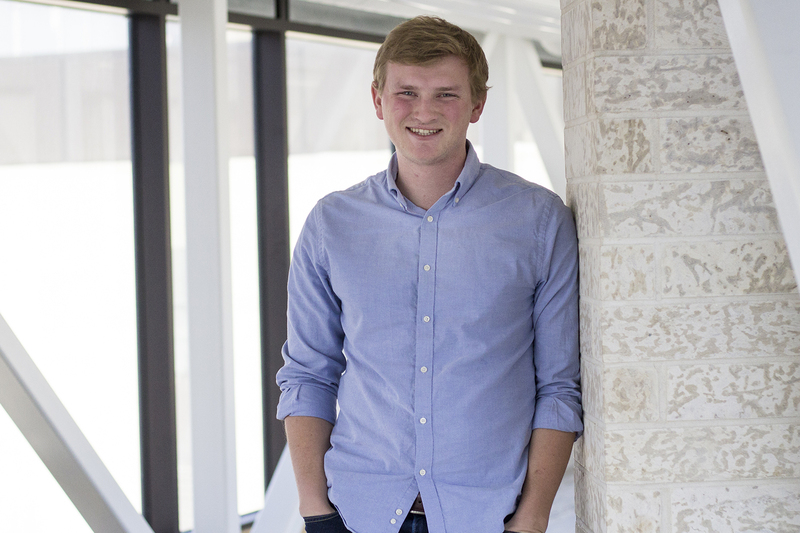 Nick Kehler is a fourth year Psychology major graduating in April, and is from Altona, MB.